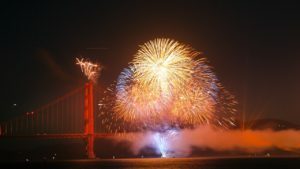 California Living ® host Aprilanne Hurley invites you to experience the excitement and thrills on board Angel Island Ferry’s 4th of July Fireworks Cruise to the San Francisco waterfront. This July 4th, experience the magic of the annual “San Francisco 4th of July Fireworks Show” aboard one of two Angel Island Tiburon Ferry Vessels for an exciting 4th of July Fireworks Cruise departing Tiburon, California, to the San Francisco waterfront to take in the excitement and thrills of San Francisco’s Annual Fourth of July Fireworks show. 1. 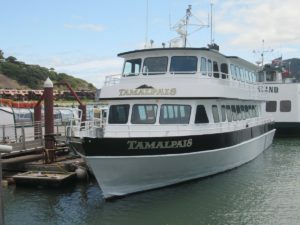 The Tamalpais – Angel Island Ferry’s luxury party boat. The Tamalpais offers indoor lounge seating on the upper deck with a cash bar. Book your Tamalpais 4th of July Fireworks Cruise online. Indoor/Outdoor seating and cash bar on board for your cruising pleasure. Two levels: upstairs is outdoors, with large viewing areas, and downstairs is indoors with an outdoor aft deck. Convenient bench and table seating is available downstairs, with a large open area in the middle. What: Celebrate the 4th of July with a BANG aboard one of our Annual Angel Island – Tiburon Ferry San Francisco Bay 4th of July Fireworks Cruise, featuring an up-close look at San Francisco Bay’s Annual 4th of July Fireworks Extravaganza. 8:00 p.m. boarding for an 8:30 p.m. Fireworks Cruise departure. Return to the Angel Island Tiburon Ferry Dock after the fireworks show. Where: Angel Island Tiburon Ferry Dock, Tiburon, California. Click here for parking info. 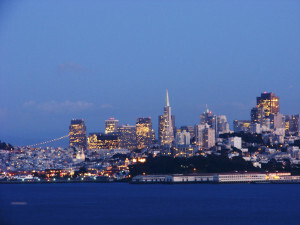 – There are $4.00 & $5.00 ALL DAY PARKING Lots in Tiburon! Details: Cruisers are welcome to bring their own snacks and food to enjoy during the cruise. Wine, beer, soft drinks, and snacks are available on the cruise. 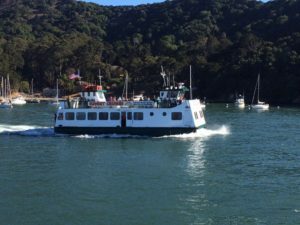 Please Note: “Bring Your Own” alcohol is NOT permitted on Angel Island- Tiburon Ferry Specialty Cruises such as the July 4th Fireworks Cruise – thank you for your cooperation. 4th of July Fireworks Cruise, 4th of July fireworks cruise san francisco, Angel Island Ferry, Aprilanne Hurley, ca living, California Living, California Living TV, fireworks cruise sf, Inside Look TV, july 4th fireworks cruise san francisco, july 4th fireworks cruise sf, san francisco fireworks. Bookmark.